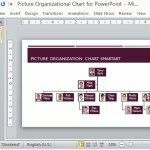 Animated Vertical Organizational Chart PowerPoint Template provides an animated org chart which can be customized to reveal your organizational structure in the form of an animated slide. 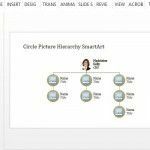 The sample organizational chart has been designed using SmartArt Graphics and therefore, it is easily editable. 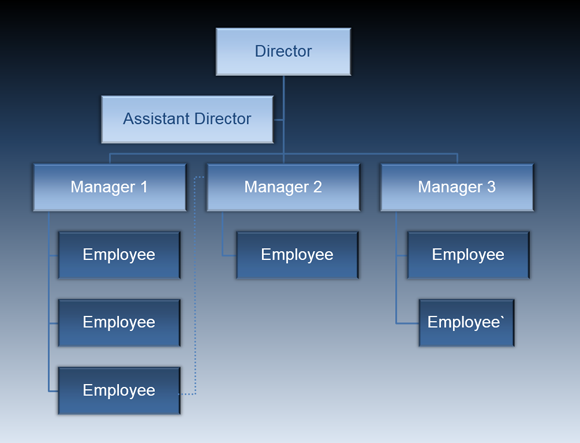 The sample diagram shows a typical hierarchy with a Director, Assistant Director, followed by Line Managers and their subordinates. 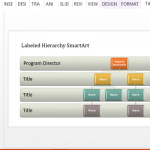 To edit the chart, simply edit the SmartArt by adding or removing parts of the org structure (as needed). 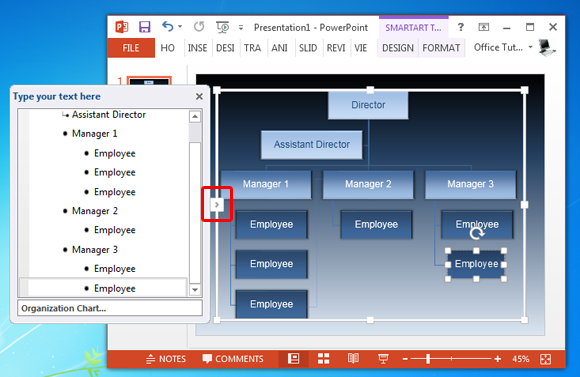 If you have ever used SmartArt diagrams, editing the chart shouldn’t be difficult, if not, simply click the diagram and then select the small arrow on the left. This will reveal the hierarchy in the form of text boxes. 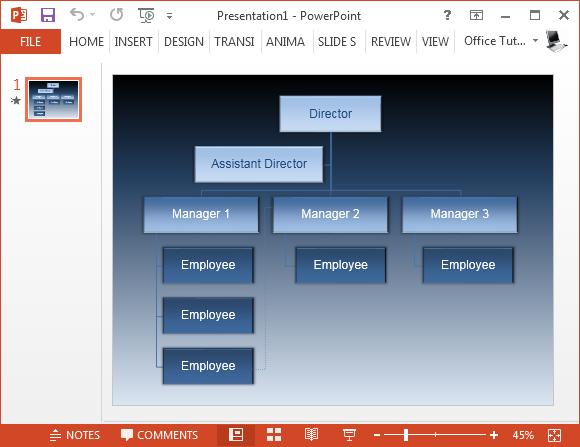 You can edit this hierarchy by adding or removing text boxes according to need. 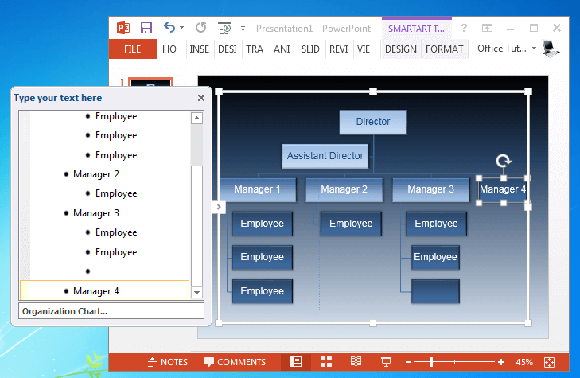 For example, to add another subordinate for a line manager, go to the manager’s list and add a new text-box below that manager by hitting Enter. 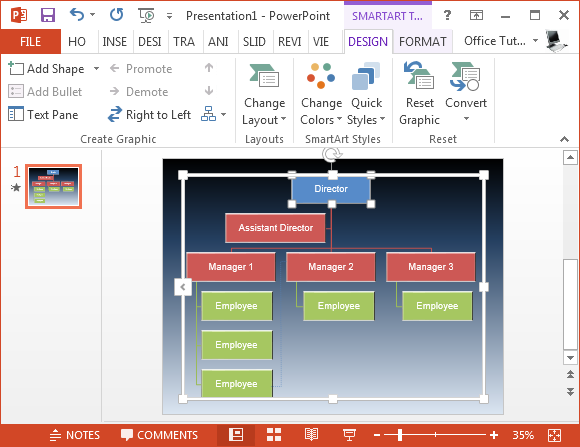 The colors of the diagram are also editable and you can recolor the diagram using SmartArt Tools. This might be useful especially if you intend to give the chart a specific color, such as a color that matches your company’s logo. 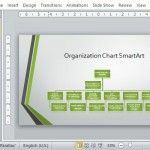 Since this template is an animated diagram slide, your chart will be revealed slowly, in animated form upon mouse-click. Each click will reveal a new section of the diagram. 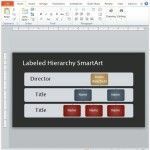 This can make it easy for you to explain the hierarchy step by step to an audience. This animated template is free to download using the direct link given below.